Located just across the way from the Grand Strand’s very popular Carolina Forest section of Myrtle Beach, Wild Wing Plantation homes offer a remarkable opportunity to not only buy a piece of paradise but to customize that piece to fit you and your family’s needs and tastes. This is an established community, but Caviness and Cates homebuilders are adding new homes. These outstanding homes are superior in every way. The community has both existing homes and new home sites available, with amenities which include a great clubhouse where owners and their guests will find a first-class fitness center, lighted tennis courts, playgrounds, a basketball court and more. 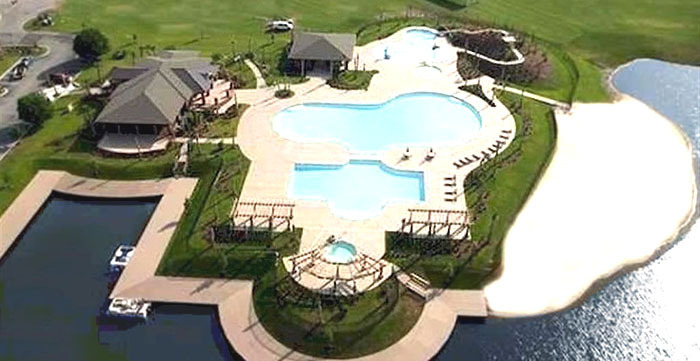 There are also 4 swimming pools complete with water slides and children’s play area, boat ramps, day docks, and acres of lush natural landscaping that include 180 acres of freshwater lakes. To top it off, children will attend Carolina Forest's schools, which are some of the best in the state. 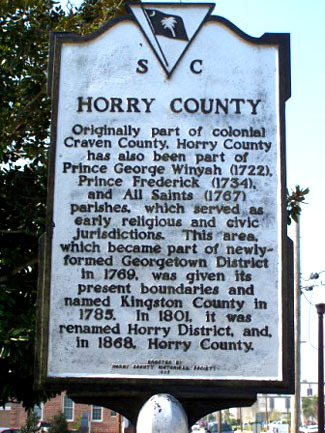 Property taxes are also lower in Conway than in Myrtle Beach. Stately and spacious, the new luxury homes feature screened porches, custom trims, tile and hardwood flooring, granite countertops, stainless steel appliances, maple cabinetry, vaulted and presidential ceilings and much, much more. Homes range from 2100 to 2,441 square feet in size and are priced from $349,900. Caviness and Cates' Blue Tag Sales Event is on in the Wild Wing community. 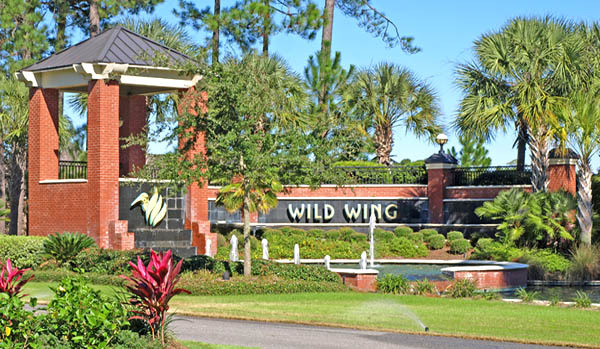 Some homes here offer golf at the resort’s acclaimed 27-hole Wild Wing golf course. One of the state’s most outstanding golf instruction programs is also offered along with a pro shop and a modern practice facility with driving range and putting and chipping greens. Older 5 and 6 bedroom homes can be found that were built around 2013, and some custom homes, as well as Lennar homes, are available, with prices from $300-800,000. 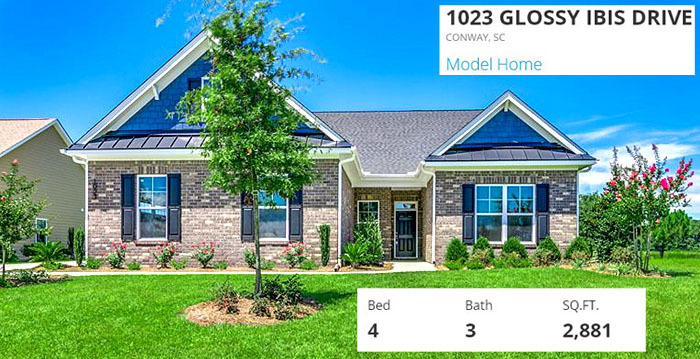 The perfect place to live, relax and play, your ticket to these and other great Grand Strand communities is just a phone call away. We are representing Caviness and Cates Homes, which offer some of the best deals and upgrades. Call us for more information on any of the available homes in Wild Wing Plantation. You'll find a sample of available properties below, and a complete list is available.